British Field Marshal Bernard Law Montgomery was without a doubt a great hero of WWII. He is often cited as the most professional Allied commander. 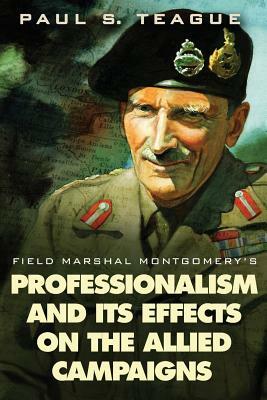 This book explores his successes and exposes the dark side of Montgomery; his unprofessional criticisms of peers and disloyalty to superiors, selfishly taking the credit due others, using deceit to cover up failure on the battlefield, and disregarding intelligence when it ran counter to his operational planning. His victory at the Second Battle of Alamein brought him instant celebrity and established a reputation Montgomery would do anything to maintain. Here then is the enigma of Field Marshall Montgomery, a man who made history because of--and in spite of--himself.